Konstantinos ("Dino") Armiros is a partner in the firm's Bankruptcy and Restructuring practice and handles real estate, commercial litigation, restructuring, bankruptcy and workouts. In that capacity, he has represented lenders and borrowers in complex work-outs of significant credits. Typically, such negotiations result in a restructuring of the credit by the mechanism of a forbearance agreement; negotiating and drafting forbearance agreements have become something of Dino's stock-in-trade in these matters. In addition to commercial lenders and borrowers, Dino has also represented other constituents in distress situations, including asset purchasers, trade creditors and contractors. He provides leadership in running distress transactions, calling on the various specialties that the firm offers (be they labor, environmental, tax, commercial finance or real estate counseling) to satisfy his clients' needs. Such out of court restructurings also may involve assignments for the benefit of creditors - and Dino has represented a number of assignees in recent years. 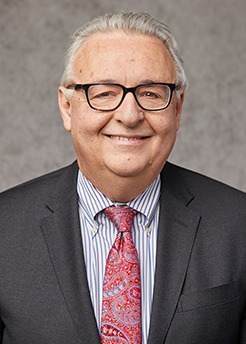 In addition to his work in matters involving financial distress, turnarounds and restructurings, over his career Dino has accumulated extensive experience in commercial litigation, typically representing secured lenders in state, federal and bankruptcy court and in commercial lawsuits, consumer finance litigation, class action defense, injunctions, and other complex civil litigation. He also serves as informal "general counsel" for a number of mid-market businesses, real estate concerns and entertainment clients. For those clients, he provides counsel to the business owners and oversees their specific legal needs by employing attorneys from the firm's deep bench of qualified attorneys, as appropriate. Dino is a regular speaker and panelist on insolvency and real estate matters, and frequently speaks at National Business Institute programs on these topics.